Successful businesses are built upon the the relationships they develop with their customers. A business must properly market themselves in order to establish these relationships. Marketing is a blanket term for a wide variety of techniques allowing a company to properly communicate with their target audience. Your business may offer great services, but potential customers not even knowing about them if your marketing is not up to par. 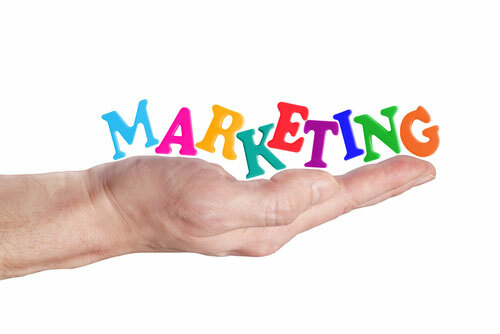 Marketing is the introduction of a product or service to potential customers. Advertising and marketing are sometimes thought to be one in the same, but advertising is just one component within the marketing process, along with market research, media planning, distribution, customer support, community involvement, public relations, and sales strategy. The main purpose of marketing is to generate more sales in order to increase revenue. Creating product/service awareness allows customers to know what you have to offer. Designing a custom marketing plan of who your customers are, what their needs are, and how you can provide services for them helps to ensure the success of your sales. It is also important to maintain your brand by managing your reputation. When you run a business, it important to get customer feedback in order to improve your services and to attract new customers. Negative reviews or comments can tremendously impact the reputation of your business. Your reputation can be controlled by improving your reviews through word of mouth and through media from your loyal customers. Reputation impacts whether a person wants to use your services or go elsewhere and maintaining a strong reputation will allow your business to grow. One of the key aspects of marketing that helps your company grow is gaining clientele through referrals. Customers that are happy with your product or service will return and will hopefully will refer friends, family etc. to your business. Having a strong customer following could bring you growth and success through referrals alone. The success of your business strongly relies on the way you market yourself. Simply introducing your product or service is not enough. All the components that go into the marketing of your company allows you to reach your highest potential. Without marketing, your sales would be limited, leaving you with little to no revenue. In order for you to progress and be successful it is important to have a strong marketing strategy for your business.